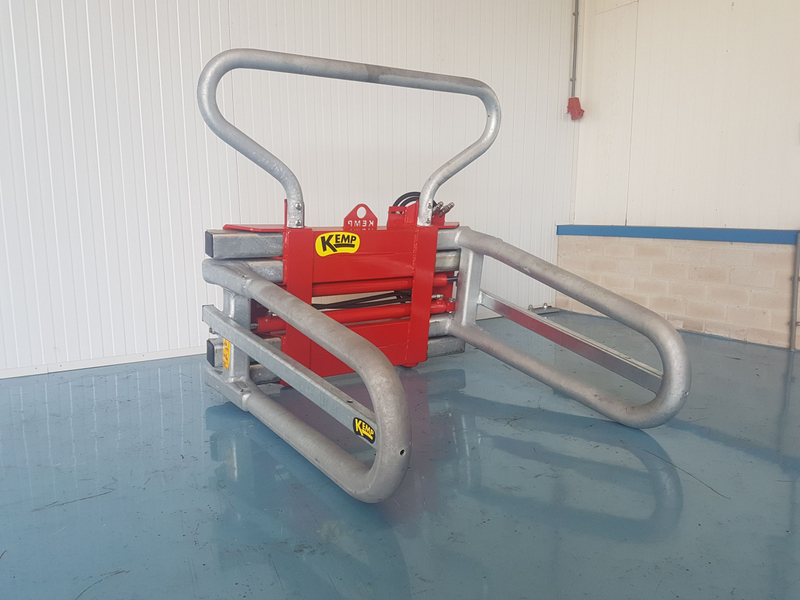 The BKS has been appointed by us as the standard clamp. 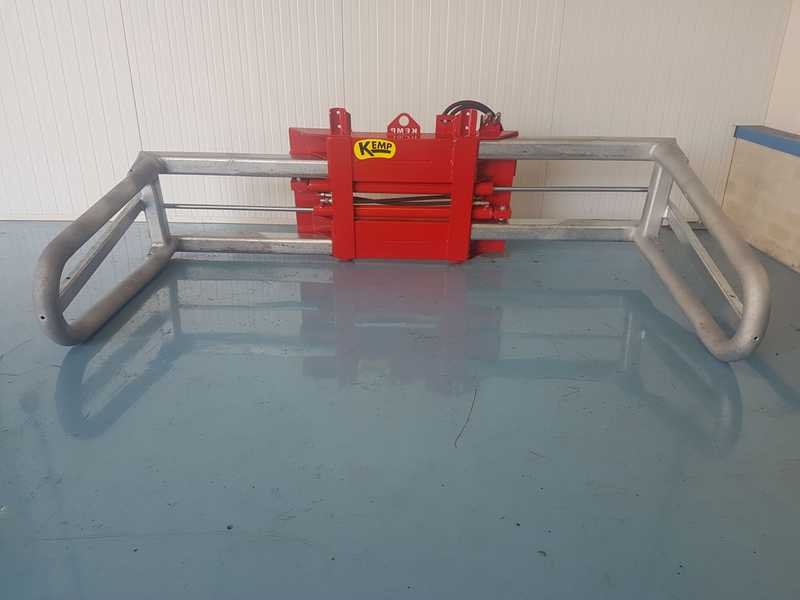 This means that most of the bales can be packed with this clamp. The clamp is heavier than the BK but lighter than the BKC and BKZ. 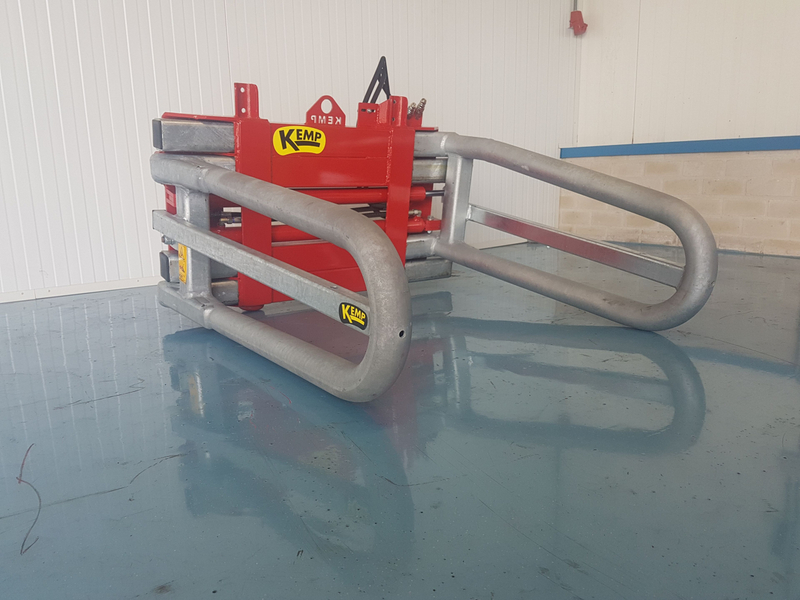 With very intensive use we recommend the BKC or BKZ, but for normal use the BKS is very suitable. The BKS is suitable for wheel loaders, telehandlers and tractors (up to 120 hp). 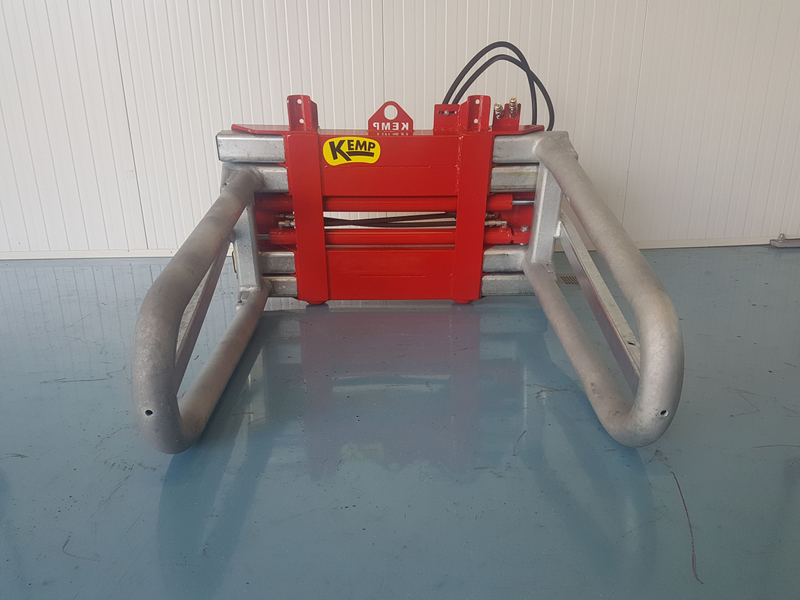 The four sliding tubes of the BKS are made of 8 mm thick steel. 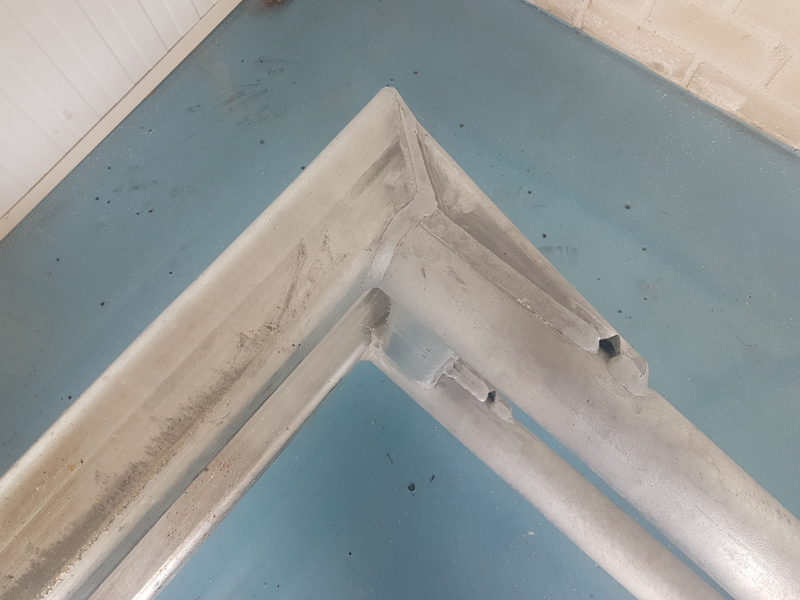 The clamp tubes are bent from one tube of 76x6.3 mm, so the tube has no weak points. 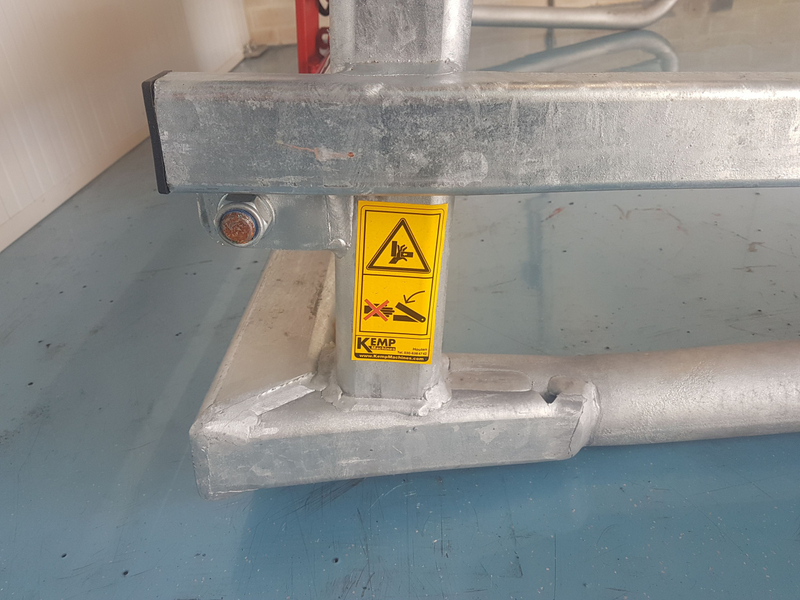 The height of the clamping arms are 380 mm. 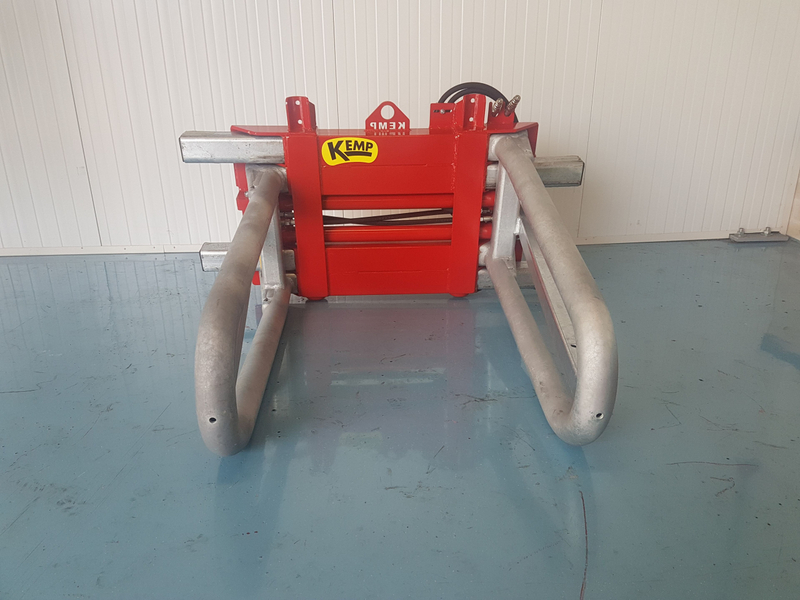 The weight of the standard bale clamp is ± 280 kg. The BKS is available in two versions, namely the BKS2.200 and the BKS2.600. The BKS2.200 has a clamping range of 700 - 2,200 mm and the BKS2.600 of 800 - 2,600 mm. 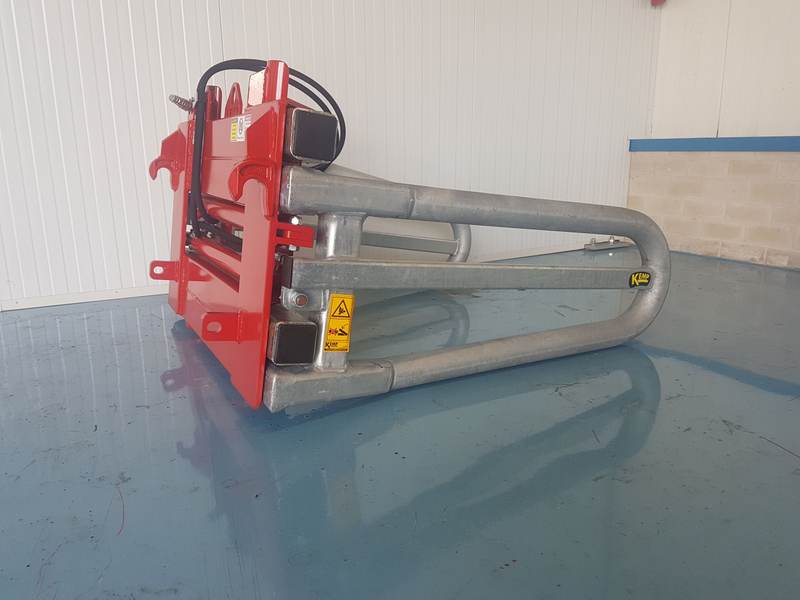 The standard bale clamp is available with the attachments that belong to your vehicle (for the attachment parts, see the document: Kemp attachment parts).